flyingpicasso, jungle_man, Lexus050470 and 3 others like this. Lexus050470 and Cheshire Mark like this. On my new Shell Cordovan NATO from DaLuca... smells sublime. Last edited by Feyd; November 28th, 2012 at 23:55. Lexus050470 and keytujd like this. No logo auto Flieger with COSC. The movement's so beautiful (considering it's an auto) that I almost wish I could wear it upside down. Often find myself taking it off during office meetings and tilting it just so to look at the clickety bits. Renisin, Lexus050470, FliegerPL and 1 others like this. 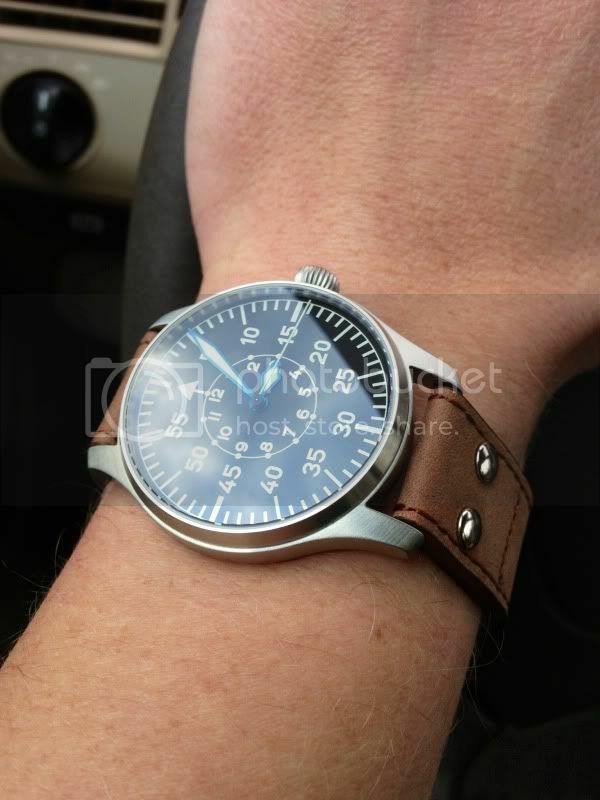 Also been wearing my Flieger A COSC. 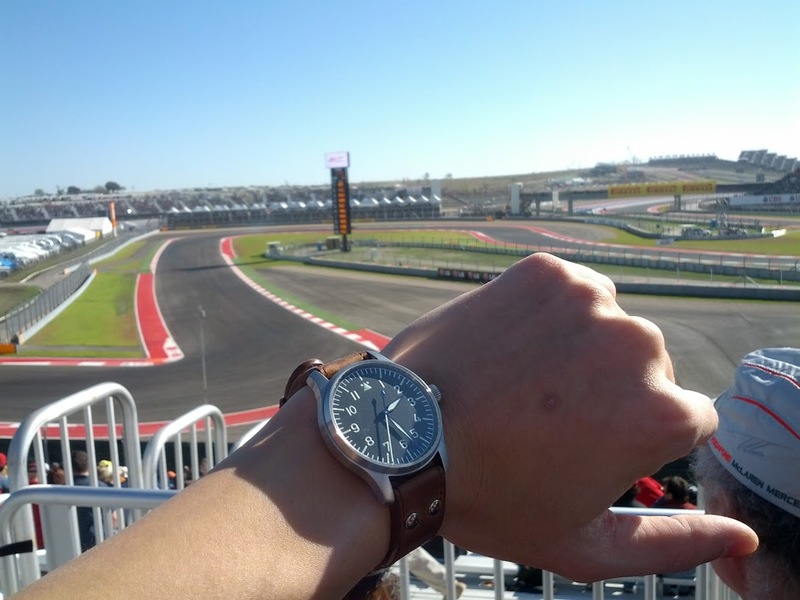 This photo is from the recent Formula 1 race in Austin. 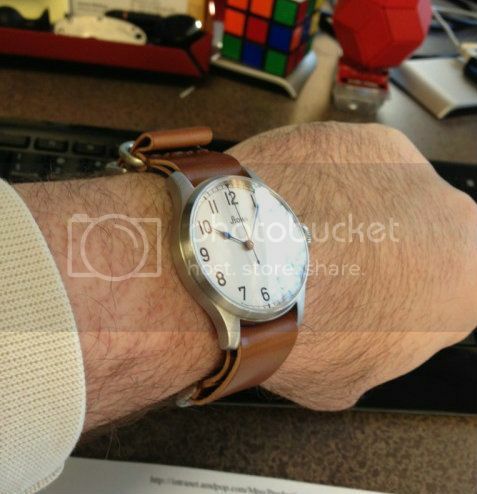 Ric, I do the same thing - during class I take off my watch and just look at the movement and the case. Renisin, Lexus050470, AEC and 1 others like this. Renisin, Lexus050470, wardog and 3 others like this. Very nice strap! Thanks for the post. Last edited by Lexus050470; November 30th, 2012 at 03:44.